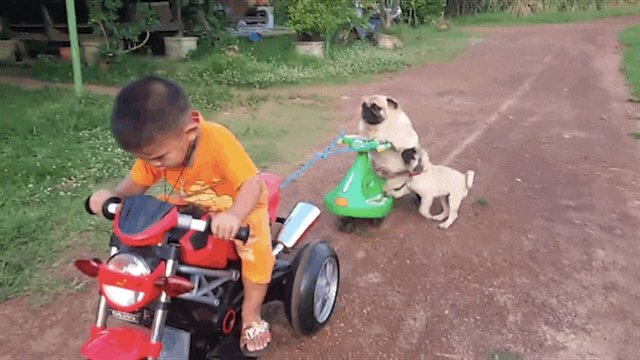 A planned father/pup scooter ride in Udon Thani, Thailand, took an unfortunate turn recently when the vehicle's pint-sized co-pilot tumbled off the back. 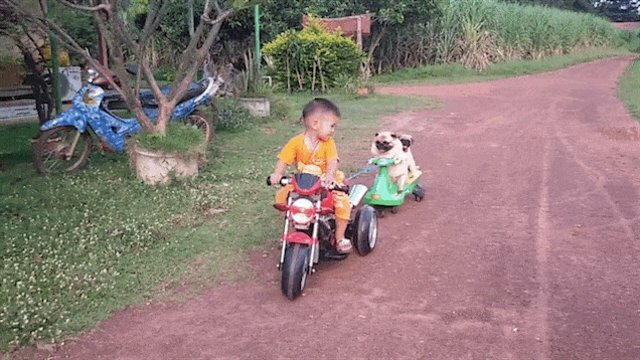 Worse yet, Dog Dad was clearly having too much fun cruisin' to even notice his child's distress. 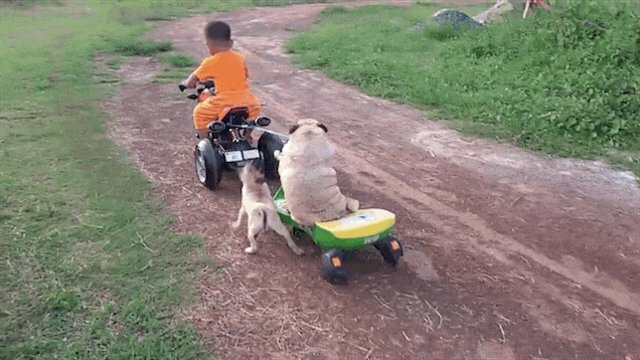 "Oh man, this scooter ride's gonna be so great, I can hardly believe it-"
"Hey, wait, I fell off! I'm not on! Wait for meeee." "WTF DAD?!?! We were supposed to do this together! Why won't you slow down?" 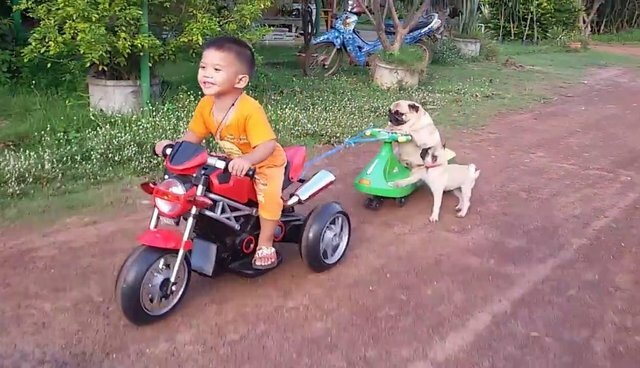 "Whatever, who needs your stupid scooter, anyway? I'll just-I'll just walk home, I guess."